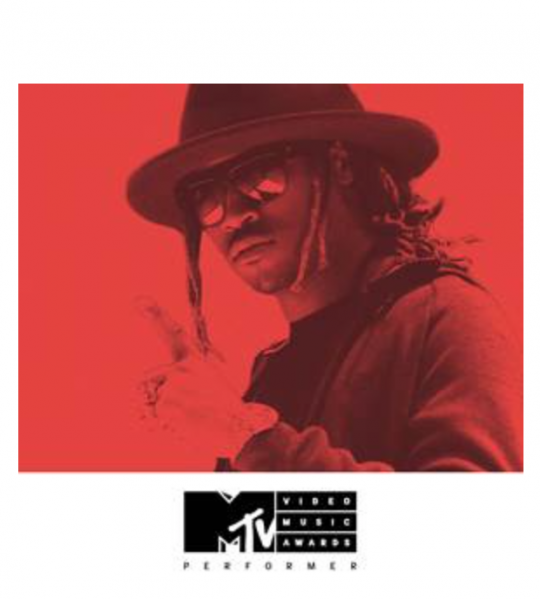 NEW YORK, NY, August 22, 2016 – Platinum-selling Atlanta rapper Future today announced that he will perform at the 2016 “MTV Video Music Awards.” The performance will mark Future’s first appearance on the VMA stage. The 2016 VMAs will air LIVE from New York’s iconic Madison Square Garden for the first time ever on Sunday, August 28 at 9:00 p.m. ET/PT. In keeping with the spirit of this year’s show celebrating the creative expression of artists, Future made his announcement via a personal and visually visceral video on Future’s creative process that was custom-created by director Tom Gould. To view the video, click here (embed below). Future can lay legitimate claim to being the hottest rapper in the game, with three albums entering the Billboard 200 at number one in the span of just seven months — 2015’s DS2 and collaborative mixtape with Drake What a Time to Be Alive along with this year’s smash studio album EVOL. His explosion to the top of the charts marks the culmination of a strong rise for the 32-year-old artist, who boasts a steady stream of critically praised and commercially successful releases dating back to his earliest mixtapes, including 2011’s Streetz Calling. Future’s prolific output and nonstop tour schedule have earned him a reputation as one of the hardest working artists in the business. Earlier this month, MTV News released a revealing cover story and mini-documentary on the artist, in which he discusses his approach to life and family amidst his meteoric rise to superstardom.